Happy Monday everyone! I can't believe it is now OCTOBER.. WHAT?!? I think it is always a little harder to believe it here in Florida because the weather is only getting hotter right now. I am so ready to wear a sweater, but I think it will be a while. I am so thrilled to share what books I read during the month of September. This is one of the best reading months I have had in a long time. There are so many 5 star reads in this recap and you are going to want to read them people! This story is about a girl who enlists a stranger to be her, you guessed it, fill-in boyfriend after her real boyfriend dumps her at prom. It was just too predictable and had way too many cheesy lines for me to even enjoy some of the dialog between characters. The supporting characters didn't really have many likable qualities in my opinion and treated the main character like crap. I did add a full star because the villain of this story is SO easy to hate, which made the book better. Overall, not my favorite, but I still love you Kasie West. My mom has been telling me for half the year now (not joking) that she wants me to read this book and I finally decided to buy it and give it a shot. First of all the real-life events of Georgia Tann and the Tennessee Children's Home Society that this book is based off is tragic and I can't believe this actually happened in America. Georgia Tann kidnapped and sold children to wealthy families after keeping them in a home where they were neglected and abused. This book is a fictional tale of a family that went through just that. Y'all this book brought me to tears multiple times. It is so incredibly horrifying and the story was written beautifully. You will be dying to keep reading and find answers to unravel this families ruined history and future. READ THIS ONE! I have heard so many great things about this book so I had such high expectations. Unfortunately this book wasn't for me. 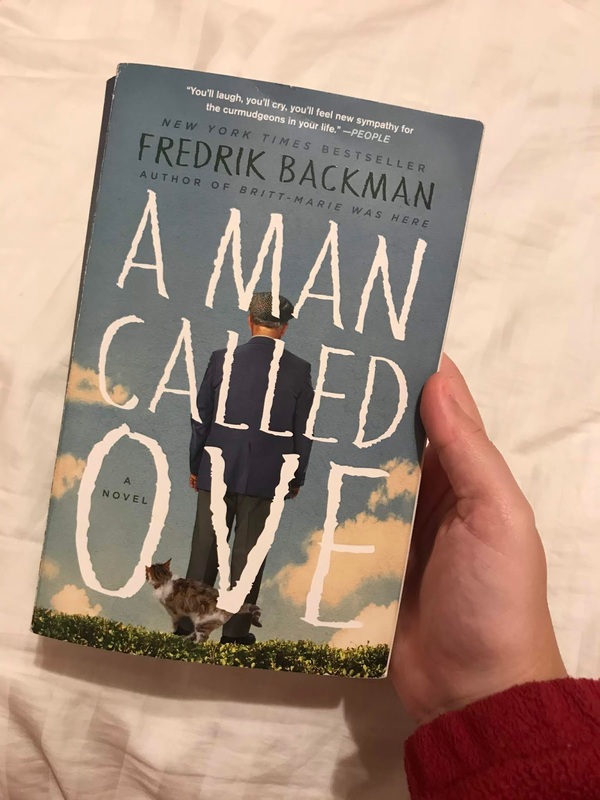 This is the story of an old man called Ove (duh!) who is the crankiest, meanest human ever and is contemplating suicide. As the book goes on, you start to understand his past and why he is the way he is. I can see the appeal to this book, because he does become slightly more likable but not to the extent that I actually liked his character. Although his past wasn't great, I never like authors who present suicide as a reasonable answer and therefore couldn't get on board with this book. I feel the author also justified being hateful to others which I don't ever think is okay. I know people who have been to hell and back who still show kindness daily. Overall, wasn't a huge fan. I have heard so much about Morgan Matson and realized I have never read one of her contemporary books. I picked this one up from the library and am so happy I did. I was at first a little thrown by the size of this book. I have never read a fun contemporary with over 500 pages so I was afraid it was going to be overkill. NOPE! I loved every minute of this book. 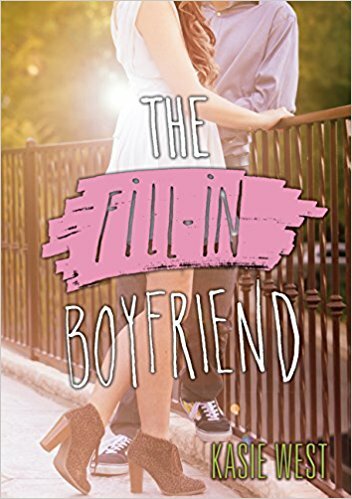 It was light, fun, entertaining, had a cute romance, and was everything I ever want in a Contemporary. I went out and bought this book directly after I read it because I just had to own it. I can't wait to read more Morgan Matson books. This is the story of an only child in high school who is very driven and good at taking care of herself considering her dad works in politics and is always gone. Things change however as her summer plans go awry. There is a sweet family, challenging friendships, and a family working to repair what was broken. I loved everything about this book! I am always a sucker for books written about true stories, and I can't get enough World War II information and insights. Naturally, I was eager to get my hands on this book that was based off the true story of Lale Sokolov who was assigned the duty of permanently tattooing his fellow prisoners with the digits that would later become one of the most defining symbols of Holocaust survivors. 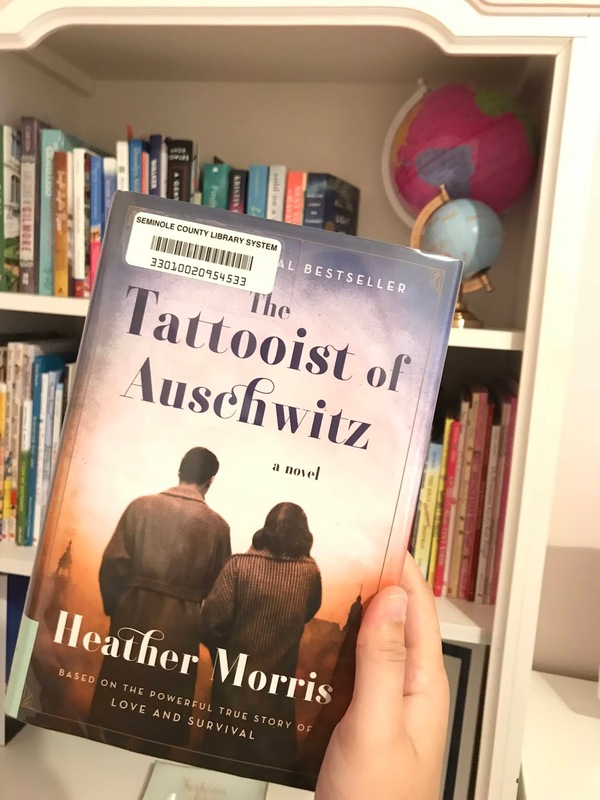 Every time I read a book about someone's experience during WWII or the German camps, I learn something I didn't know before. I truly believe that learning others people stories is the best way to learn history and develop compassion towards those who have experience traumatic events. 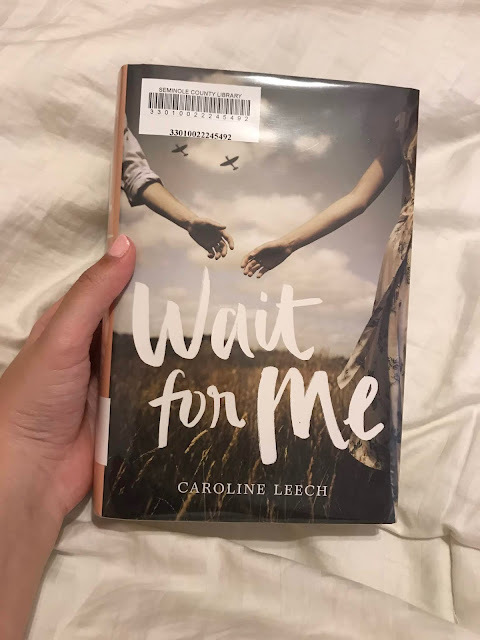 This book was beautiful, heart breaking, gripping, and I could not recommend it enough. It is on the shorter side, so it won't take long to read, but it will stay with you for a lifetime. It has been about a decade since I last read Harry Potter and I have been having the itch to read the series recently. I feel like Fall and Winter are the best time to read this series. I LOVED reading the first book again while listening to the Harry Potter soundtrack on Amazon Music. It doesn't get much better than that! I may have liked it more this time then I did ten years ago. HP is a staple! I haven't heard much about this book, which saddens me because it is SO amazing. This story was rather slow moving and felt very predictable at the beginning however, this book was a great surprise. Half way through I no longer knew exactly how it was going to conclude. This story does cover some hard topics like drinking, sexual assault, and war. I think it did justice to each of these without being too gory or disturbing. This is such a wonderful read and I did shed a few tears. I recommend! I loved the last Morgan Matson book I read so I decided to pick up another book of hers. Although during the first few pages of this book I thought the story line was going to be stupid, it really grew on me. This book is about a girl named Emily who's best friend disappears and leaves her a bucket list to accomplish. In the process of completing each item on the list, Emily discovers herself and new friendships along the way. I thought it was rather strange that Emily's best friend disappears for the entire summer, she doesn't hear from her, and she doesn't even call the police. It does make sense in the end and turns out to be a really cute story, even though the beginning didn't make much sense. I recommend! I have heard so much about this book and love stories set in Alaska, so I had to pick this one up from the library. I like how quickly this book moves. 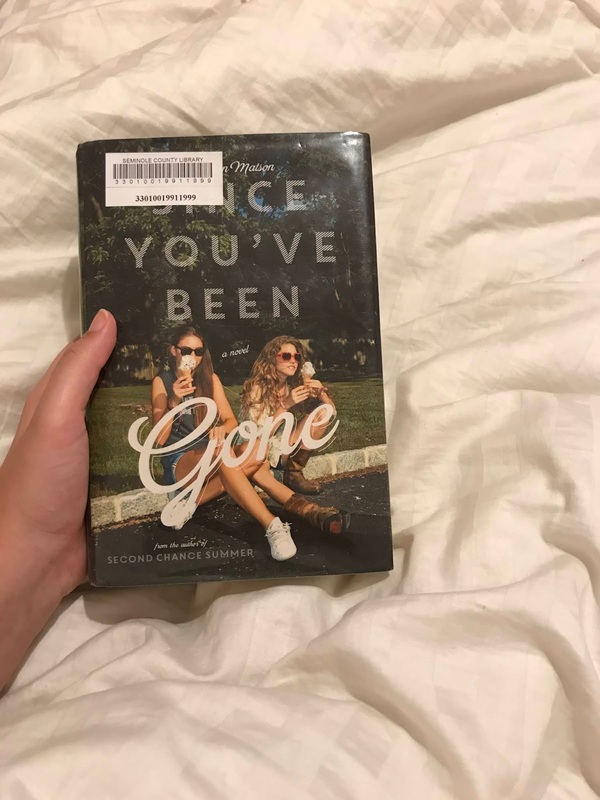 This author didn't spend unnecessary time before the main events started to unfold, which I really liked, however it made the middle of the book really drag. The last 100 pages are steamy and cute but I felt that it took me longer than it should to read this book. Overall it's okay. What books did you read this month? Let me know some of your favorites in the comments below so I can get some recommendations. Happy reading everyone!